Measuring Results From Corporate is.. 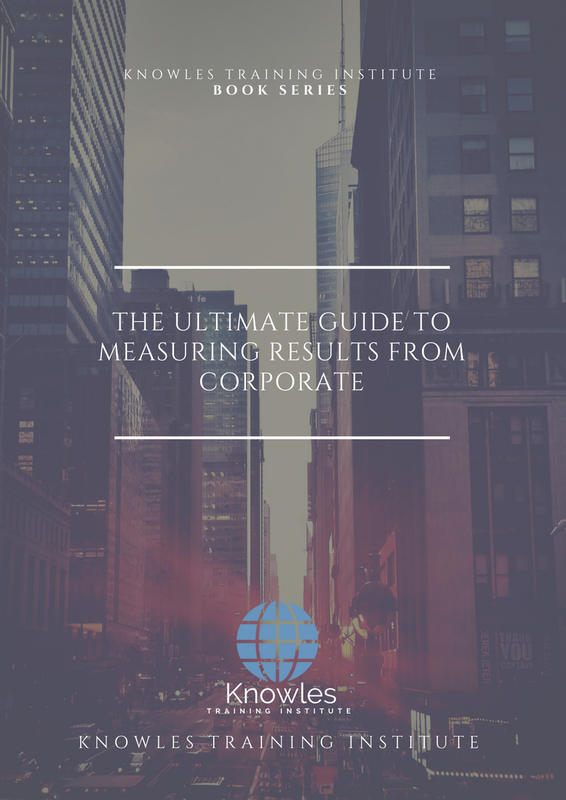 This Measuring Results From Corporate workshop is ideal for anyone who would like to gain a strong grasp and improve their Measuring Results From Corporate. The duration of this Measuring Results From Corporate workshop is 1 full day. Knowles Training Institute will also be able to contextualised this workshop according to different durations; 2 full days, 1 day, half day, 90 minutes and 60 minutes. Conduct training evaluations to develop effective future training programs. Apply the knowledge gained to develop a framework for measuring corporate training results. Incorporate evaluation results at the workplace to encourage personal development at work. Incorporate staff training evaluations in measuring performance at the workplace. Utilize training evaluation results to improve employee performance. Increase employee morale and output through application of training evaluation results. Draw achievements made by trainings for effective professional development. Review training evaluation results as a team to build cooperation and teamwork at the workplace. Incorporate lessons learnt from trainings to encourage employee initiative and creativity at the workplace. Incorporate achievements recorded from training to improve the quality of work. Use training evaluation results to benchmark measures for delivery of work and establish high standards. Engage staff in measuring training results to encourage staff development and innovation. Use lessons learnt from trainings to enhance Individual and organization success. 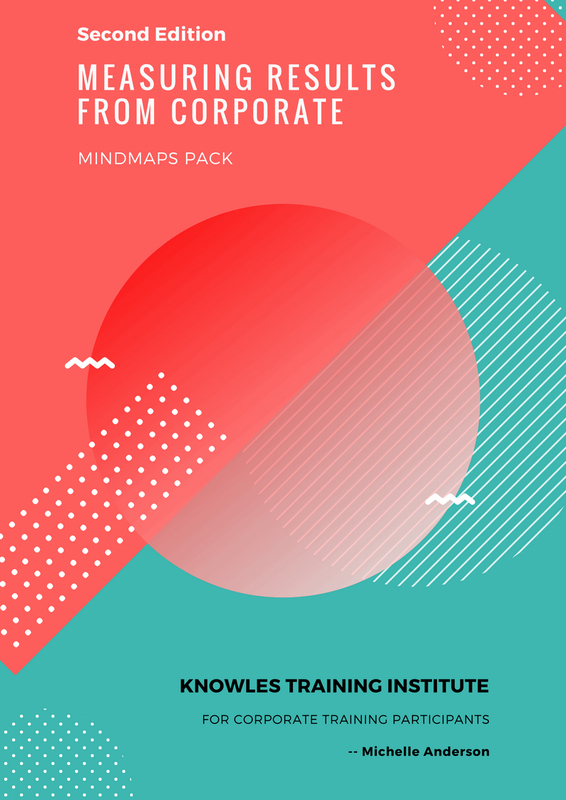 Understand the meaning and significance of corporate training. Understand the importance of evaluating corporate training results. 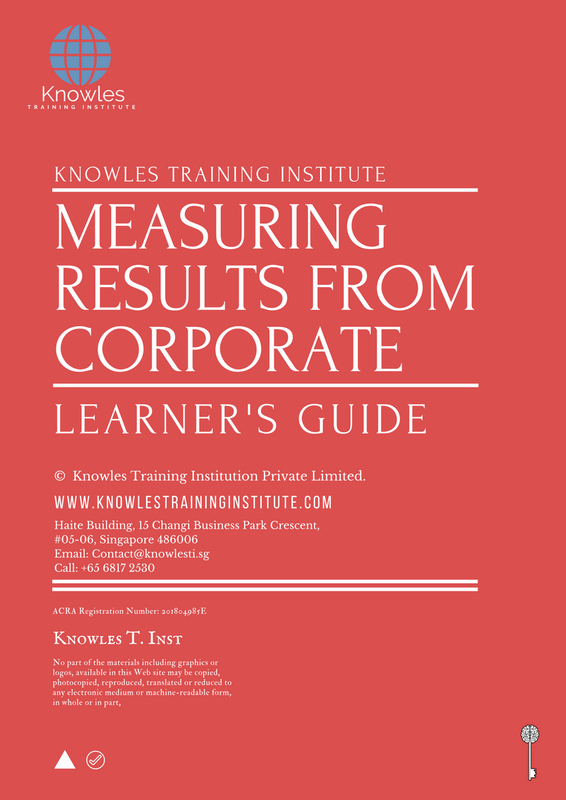 Know the questions to ask when measuring results of a corporate training. Understand the types of tools for evaluating results of a corporate training. 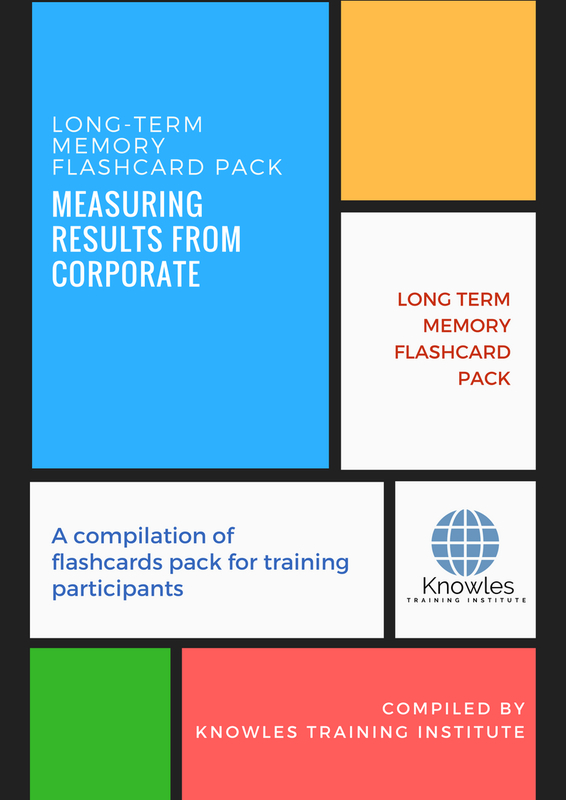 Know the assessment tools for measuring results from a corporate training. Understand the importance of evaluating corporate training results before, during and after training. Know how to document observations made, feedback and lessons learnt from a corporate training. Understand the importance of calculating return on investment for corporate training. 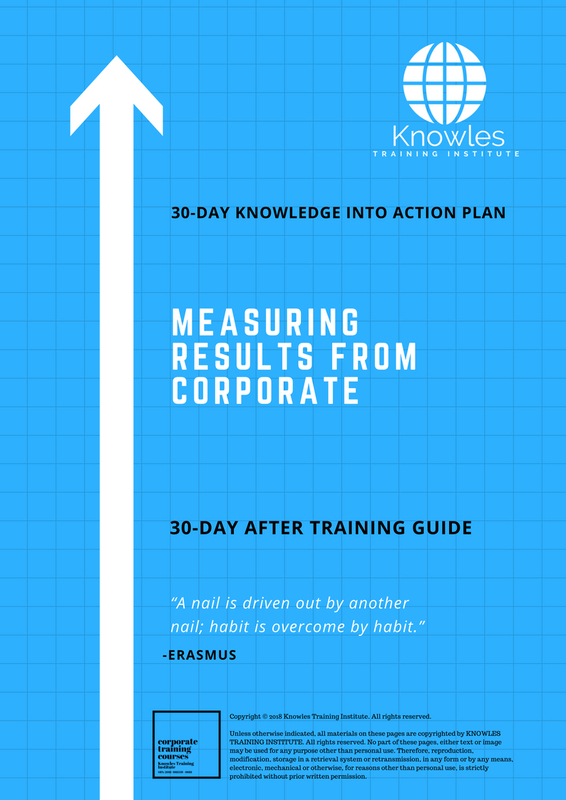 Know the steps and the process of measuring results from corporate training. 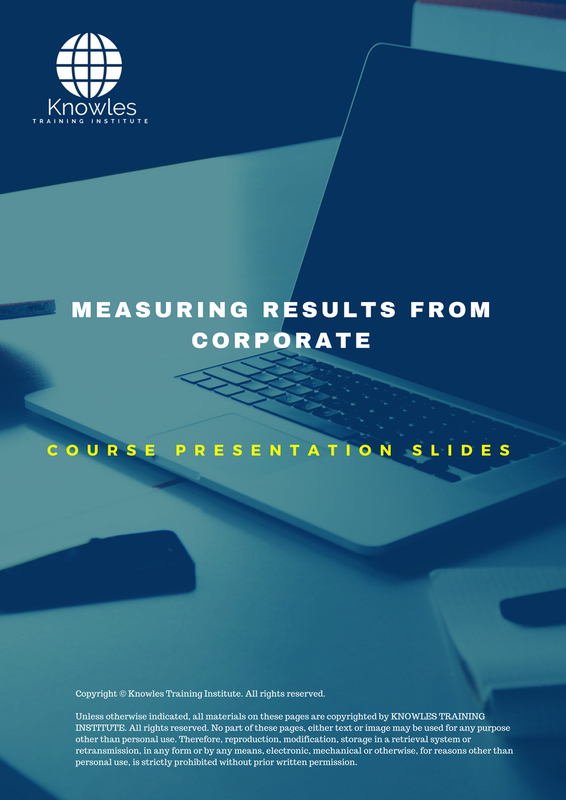 Learn the different methods of measuring results from a corporate training. Learn the significance of SWOT analysis in measuring the effectiveness of corporate training. Appreciate the benefits of measuring results from a corporate training. Explain the meaning and significance of a corporate training. What is a corporate? 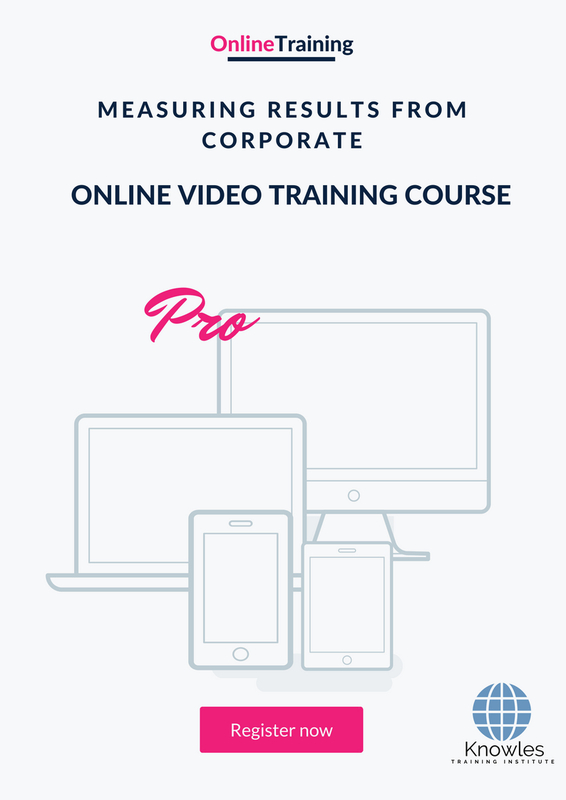 What is corporate training? What is the significance of conducting a corporate training? Discuss the importance of evaluating corporate training results. What is the importance of evaluating corporate training results? What are the questions to ask when measuring results of a corporate training? 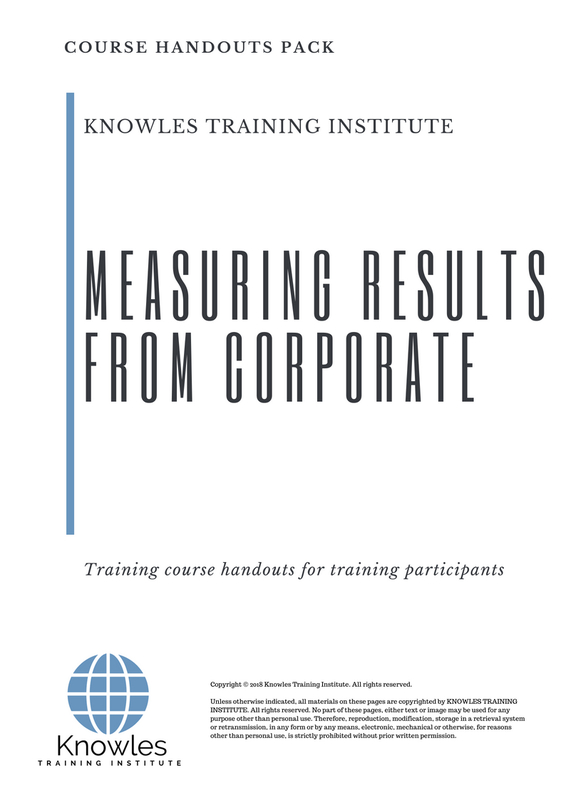 What are the types of measurement tools for evaluating results of a corporate training? What are the steps to develop a results assessment tool for corporate training? What is the importance of measuring corporate training results before training? What is the importance of measuring corporate training results during training? What is the importance of measuring corporate training results after training? How do corporate document observations made, feedback and lessons learnt in a corporate training? Discuss the importance of calculating return on investment. Were the expenses of the training compensated for by the output i.e. increased staff productivity, increased sales and profits? What is the importance of calculating Return on Investment? 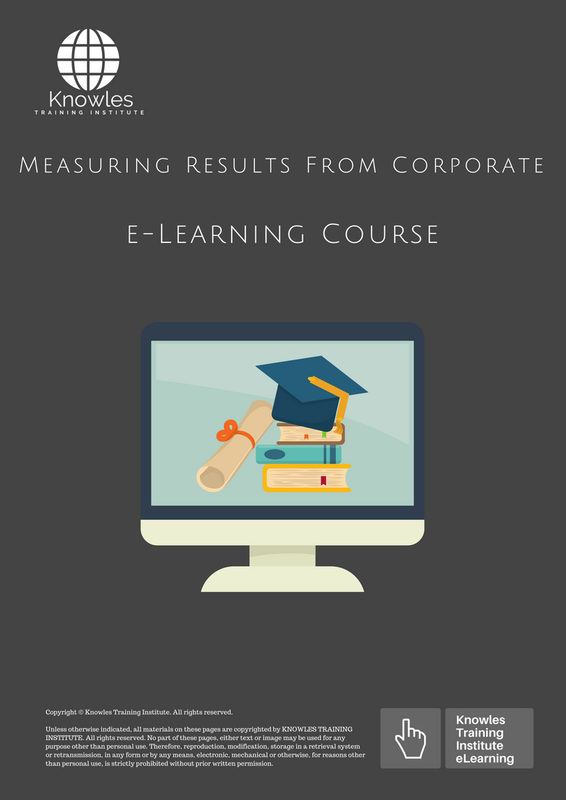 What is the process of measuring results from corporate training? What are methods of measuring results from corporate training? What is the significance of SWOT analysis in measuring effectiveness of corporate training? Examine the benefits of evaluating results from corporate training. What are the specific benefits of evaluating results from corporate training? There are 3 pricing options available for this Measuring Results From Corporate training course. 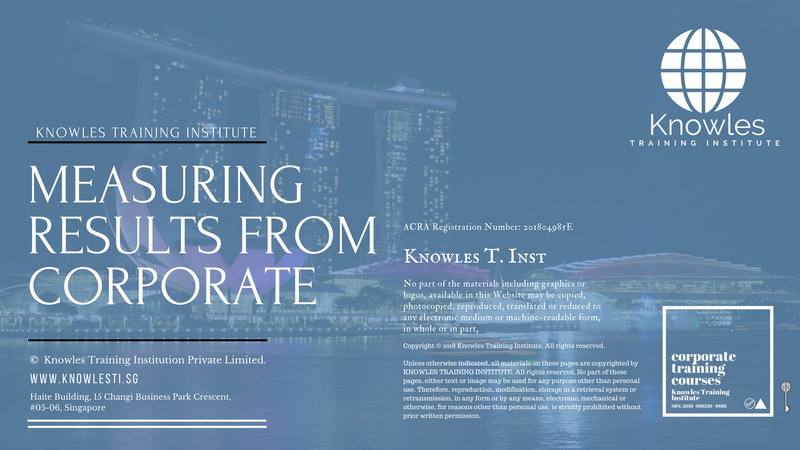 Course participants not in Singapore may choose to sign up for our online Measuring Results From Corporate training course. Request for this Measuring Results From Corporate course brochure. Fill up the short information below and we will send it to you right away! Register For This Measuring Results From Corporate Course Now! Share This Measuring Results From Corporate Training Course! Measuring Results From Corporate course, workshop, training, class, seminar, talk, program, programme, activity, lecture. Measuring Results From Corporate courses, workshops, classes, seminars, talks, programs, programmes, activities, lectures in Singapore. Measuring Results From Corporate improvement tips, Measuring Results From Corporate techniques, improve Measuring Results From Corporate, improve Measuring Results From Corporate games, Measuring Results From Corporate improvement exercises, improve Measuring Results From Corporate power, how to have good Measuring Results From Corporate, how to have good Measuring Results From Corporate in studying, how to build up your Measuring Results From Corporate, how to improve Measuring Results From Corporate how to improve Measuring Results From Corporate course in Singapore. Enhance, boost, build up, enlarge, heighten Measuring Results From Corporate course in Singapore. 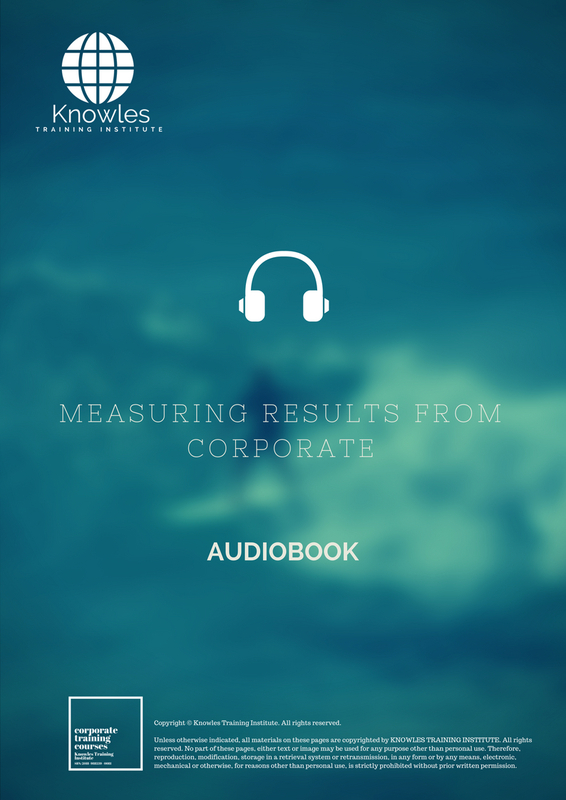 Increase, intensify, raise, reinforce, strengthen Measuring Results From Corporate. Upgrade, amplify, boom, elevate, exaggerate, magnify, grow, gain Measuring Results From Corporate. Develop Measuring Results From Corporate, multiple, power up, beef up, bolster, establish, extend Measuring Results From Corporate. Invigorate, restore, step up, toughen, empower, fortify, regenerate Measuring Results From Corporate. Rejuvenate, renew, escalate, expand, maximize Measuring Results From Corporate. Powerful, mighty, impressive, competent, great, excellent, exceptional Measuring Results From Corporate in Singapore. Superb Measuring Results From Corporate. Super, superior, strong, solid, active Measuring Results From Corporate training courses and workshops in Singapore. Measuring Results From Corporate enhancement, booster, building up, enlargement, heightening, increment, strengthening, amplification. Measuring Results From Corporate magnification, growth, development, power, empowerment, regeneration. Measuring Results From Corporate rejuvenation, development, escalation, expansion. 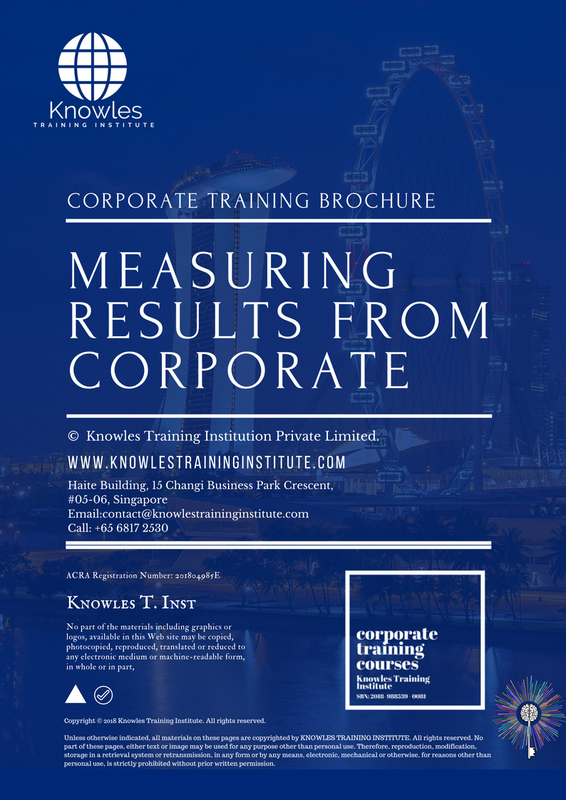 Measuring Results From Corporate maximization, power training courses & workshops in Singapore.